How to Get the Best View of 2017’s Solar Eclipse #CitizenScience #space #NASA #science « Adafruit Industries – Makers, hackers, artists, designers and engineers! 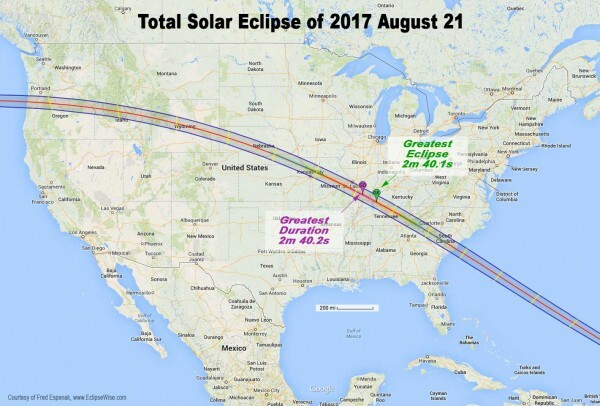 Space fans get ready, because the new year promises more than just champagne and Rogue One; NASA has announced an upcoming full solar eclipse on August 21st as I discovered on EarthSky. This is actually a big deal as the post states, “It will be the first total solar eclipse visible from the contiguous U.S. since 1979.” For the best umbral shadow view, you’ll need to be in Oregon, Idaho, Montana, Wyoming, Nebraska, Kansas, Missouri, Illinois, Kentucky, Tennessee, North Carolina, Georgia, or South Carolina. If you don’t feel like traveling don’t fear, most of North America will get a nice look at a partial eclipse. Part of NASA’s excitement comes from their data visualization of the eclipse event as it takes into consideration the elevation of the observer as well as the irregular edges of the moon. This leads to a more accurate shadow shape which is more like a polygon than an oval. If you want even more info on all things eclipse, check out EarthSky’s resource page that includes links for photography tricks, a road atlas, maps of all varieties, a book about a family’s road trip and of course, special viewing glasses. 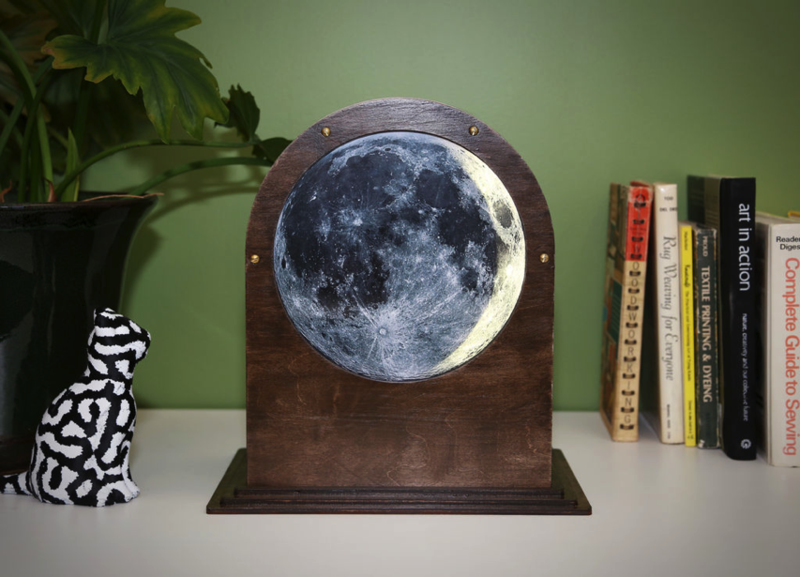 Speaking of things including the moon, did any of you catch this sweet DIY lunar clock that was on our blog? All you need is a Raspberry Pi, an LED strip, plywood and a few small parts according to this Instructable. It’s a great introduction to astronomy and electronics. 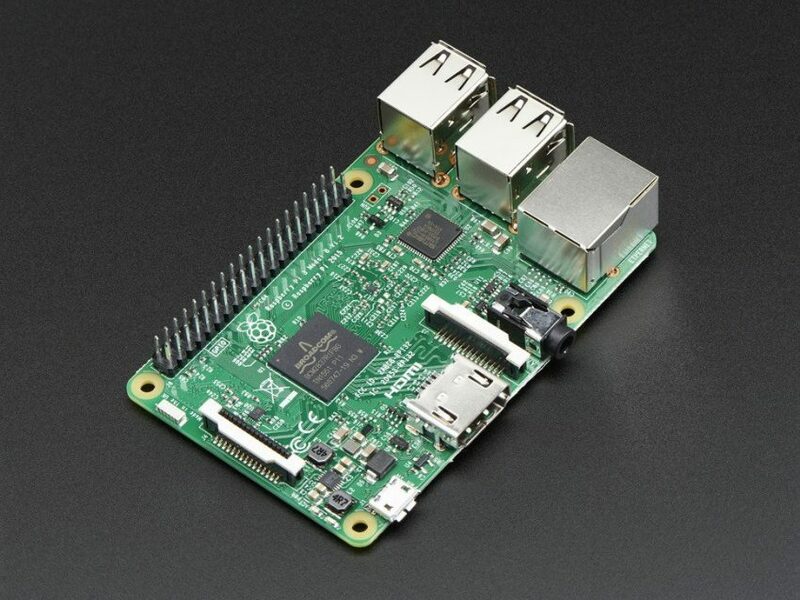 Pick up a Pi today and have fun exploring the moon in your own home.